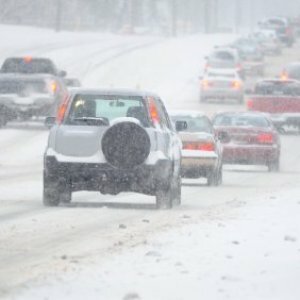 With winter weather fast approaching, it is important that you are prepared for driving on snowy roads. 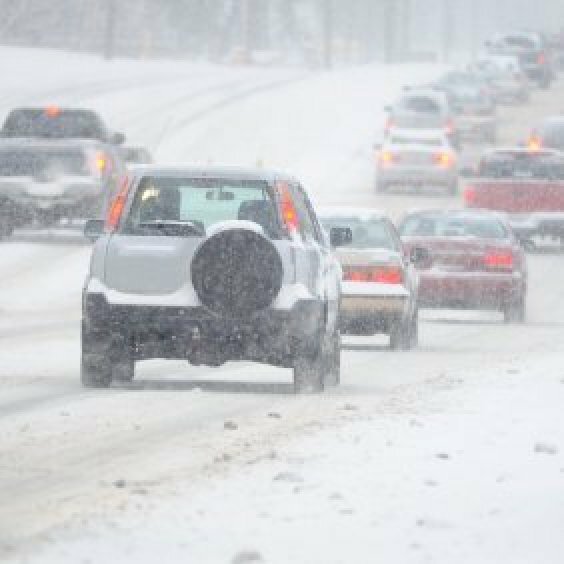 Cautious driving combined with items such as snow tires, will allow you to safely drive on snow covered roads. This is a guide about driving on snowy roads. Many of us add weight to our vehicles during the winter months if there is snow. This gives us better traction when driving in the snow. 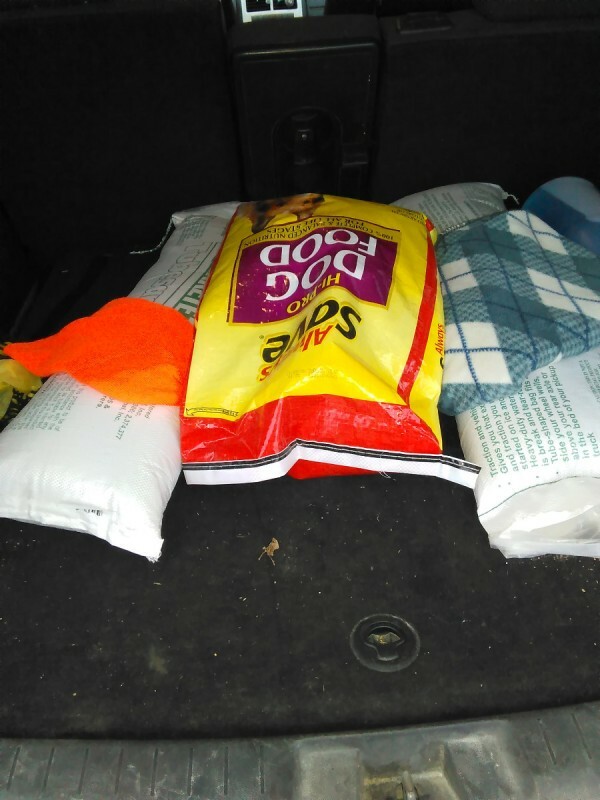 A friend of mine was complaining about having to buy sand bags every winter, because she had no use for them after winter and no place to store them until next winter. However, she does have dogs. So, I advised her to get large bags of dog food and use them for weight. 50 pounds of dog food weighs the same as 50 pounds of sand bags. If you have dogs, cats, cattle, chickens, use the bags of feed and or kitty litter as your weight. When winter is over, you have the feed to use on your animals. I normally keep one sand bag over each wheel, then the rest is feed bags. If I get stuck, I can break open the sand bags if I need to put around the wheels. With all the very cold weather most parts of the US has been experiencing, you may have noticed icy snow build-up in the wheel wells of your front and back tires. An easy way to remove it is to use a garden trowel or a putty knife to chip away at it until it falls off.